The present works deals with simple and efficient method of improving therapeutic efficacy of naproxen by retarding gastrointestinal side effects through masking of carboxylic group chemically. 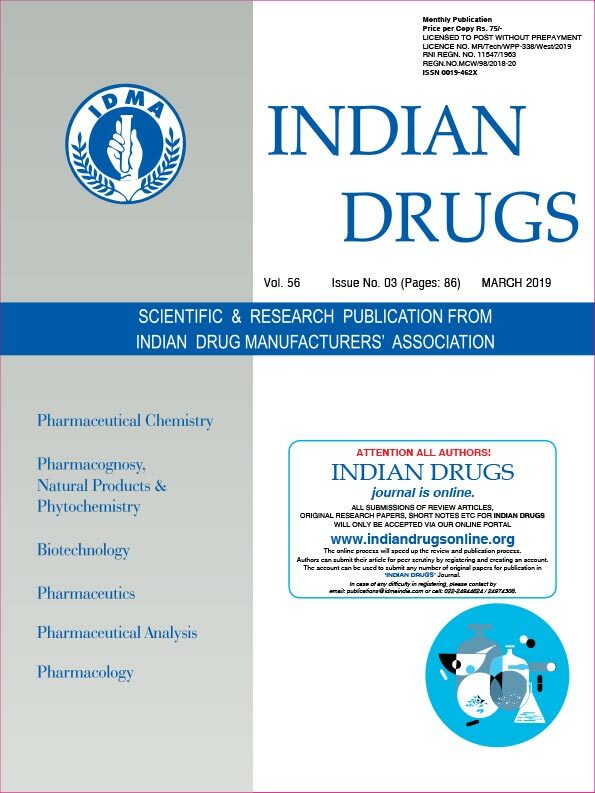 This is achieved by synthesis of ester prodrugs of naproxen with various naturally available antioxidants; menthol, thymol, eugenol, guiacol, vanillin and sesamol by the dicyclohexyl carbodiimide (DCC) coupling method. The title compounds are purified and characterized by spectral data. Further, their partition coefficients have been determined and hydrolytic studies have been performed. The synthesized compounds are more lipophilic compared to the parent moieties and are stable in acidic environment, which is a prerequisite for their oral absorption. Under gastric as well as intestinal pH conditions, these prodrugs showed variable susceptibility towards hydrolysis. The title compounds when evaluated for anti-inflammatory and analgesic activities showed improvement over the parent drug. Prodrugs were also found to be significantly less ulcerogenic then parent drugs.